Anne Willan, the celebrated chef and cookbook author, will give a talk on The Cookbook Family Tree: The History of Early Cookbooks, at the UC San Diego Faculty Club on October 23 at 5 p.m. Her talk will include a reception and book signing of The Cookbook Library: Four Centuries of the Cooks, Writers, and Recipes That Made the Modern Cookbook. The reception will include tastings from various historic cookbooks featured in The Cookbook Library.The event is free and open to the public. Warwick's will be selling books at this event. For more information please call 858-534-2533 or email spcoll@ucsd.edu. Brentwood - Anne Willan discusses and signs "The Cookbook Library"
Diesel, A Bookstore in Brentwood welcomes celebrated chef and author Anne Willan to the store to discuss and sign her new book, The Cookbook Library, on Thursday, May 3rd at 7pm. Additionally, the author will be bringing and discussing five cookbooks - one from each century covered in The Cookbook Library. From the spiced sauces of medieval times to the massive roasts and ragouts of Louis XIV's court to elegant eighteenth-century chilled desserts, The Cookbook Library draws from renowned cookbook author Anne Willan's antiquarian cookbook library to guide readers through four centuries of European and early American cuisine. As the authors taste their way through the centuries, describing how each cookbook reflects its time, Willan illuminates culinary crosscurrents among the cuisines of England, France, Italy, Germany, and Spain. A deeply personal labor of love, The Cookbook Library traces the history of the recipe and includes some of her favorite recipes of all time. Born in Newcastle, England, Anne Willan received her Masters degree from Cambridge University, then studied and taught cooking in London and Paris before moving to the United States. She is the founder of La Varenne Cooking School, and is the author of numerous cookbooks, including the James Beard Award winner The Country Cooking of France. 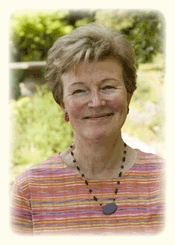 Anne Willan is currently considered a "single author." If one or more works are by a distinct, homonymous authors, go ahead and split the author. Anne Willan is composed of 8 names. You can examine and separate out names.